Okay, okay. This is my last post about Cress and then I’m done. But I love it so much. lol You can listen to the first chapter for free. Rebecca Soler who does the reading for all of the books was at my book signing. She did such a great job that I am thinking of checking out the audio books from the library just to listen to them in the car. So, if you are bored at work or snowed it, check it out. 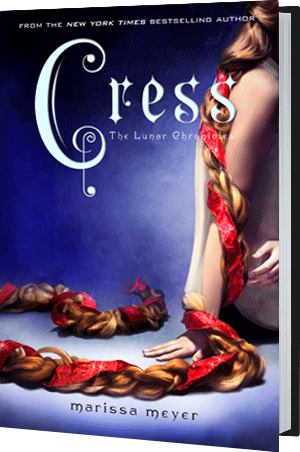 This entry was posted in Free Books and tagged #SaveCress, Cress, Free Audio Book, Free book excerpt, Free Excerpt, Marissa Meyer, The Lunar Chronicles. Bookmark the permalink.